Horst Clauss Recktenwald Foundation On December 17, 1993 Hertha Recktenwald established a foundation to further economic science by honoring distinguished scholars in the field. 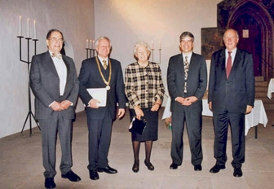 The endowment was the wish expressed by her late husband, Professor Horst Claus Recktenwald. An internationally renowned economist and devoted educator, Horst Claus Recktenwald died on April 28, 1990 at the age of 70. The Prize, with its generous endowment, ranks among the highest of awards honoring academic economists. 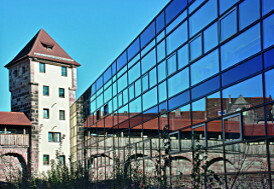 The Recktenwald Foundation was established in 1993 to honor Horst Claus Recktenwald a renowned economist and devoted teacher at the University of Erlangen-Nuremberg. The Recktenwald Prize is awarded to distinguished scholars, who have made outstanding contributions to advancing economic science. 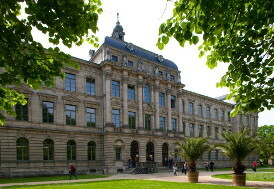 Prize winners hold a public lecture at the University of Erlangen-Nuremberg.